“I like to say that I get paid to walk through the forest and hug trees,” Buck Grasser laughed. He was fresh off a long day of working in sun dappled woods. Buck lives and works in a special place, Prince of Wales Island in Southeast Alaska, known for its vast natural wealth from ancient forests to salmon runs. As I talked with Buck, he was gathering up his two young kids to go to their local park, and Buck’s enthusiasm for his new Forest Service job and the training that helped him get there was infectious. Buck is one of the first graduates of the Forestry Training Academy, class of 2016. The Academy is a free two-week training course setting local community members on the path to jobs in the woods. Buck was one of the seven 2016 Academy grads to find work. On a remote island with isolated rural communities still feeling the effects of a significant downturn from a once booming timber industry—this is no small thing. Buck’s new job with the Forest Service as a technician provides much more stability than he’s had in years. Most striking is that Buck says he’s now working towards an occupation, not just a job. 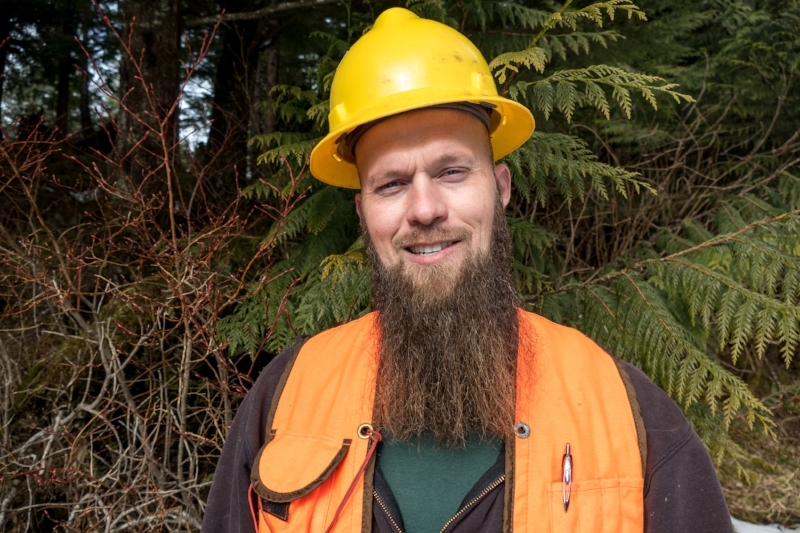 Buck’s taking every opportunity to prepare himself for new opportunities in forestry, from taking classes offered by the Forest Service to mentoring for this year’s Academy. This chance for advancement is huge, Buck tells me. I get it, a chance for advancement is truly something rare and of value—no matter where you call home. This local workforce development in Alaskan natural resource stewardship has been over a decade in the making. The Forestry Training Academy is a tangible, pragmatic outcome of a collaborative path through conflict. A diverse group people came together which included timber interests, environmental groups, and the State of Alaska—to carve a new path to better long-term management of the Tongass National Forest. They went beyond the usual focus on forest planning and articulated how to get projects done on the ground, through local jobs with local workers. The Academy “is a key element of the new Tongass Land Management Plan, put into action. It’s good for the region and it is an improvement in forest management,” said Andrew Thoms, executive director of the Sitka Conservation Society. Proving collaboration is more than just a buzz word, in its second year the 2017 Academy trained 12 new students, all from Alaska. Funding and support for the Academy is also, importantly, a collaborative effort. Supporters include the Forest Service, Alaska’s Division of Forestry and Division of Economic Development, Sealaska Timber, Spruceroot Community Development Fund and Sustainable Southeast Partnership. RVCC is preparing to go to DC at the end of May for our annual Western Week in Washington, so I asked Buck what message he would want us to share. He told me that it was important to get the word out that federal funds for programs are working in rural communities, especially when bad news is mostly what we hear. As the new administration proposes cutting essential investments in the programs RVCC cares about, we look forward to bringing this critical message to policy makers—federal funds make good. Best of luck to this new crew of Forestry Training Academy Grads!